Get-paid-to (GPT) sites can be a great way to earn some extra cash online – one of the big sites is InboxPounds. But is InboxPounds a scam or is it really a legit and safe way to earn online? This is very important to know before joining any GPT and survey site, as there, unfortunately, are a lot of poor ones out there. In this InboxPounds review for 2019, I am going to show you all the details about what you really get from this site and compare it to other sites as well, so you can see if it will be worth your time or not. What is InboxPounds and what does the site offer? InboxPounds was started in 2012, but the company behind it has existed since 2000 so it has been around for a while. Let me just reveal right away that it is a legit site as it does pay out and has millions of members. This does, however, not mean it will necessarily be a good option for you. So let’s start by going over what earning methods it offers and how good they are, so you can see if it is what you are looking for. 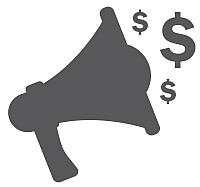 One of the earning methods on InboxPounds with the most opportunities is paid surveys. It offers a decent amount of paid surveys as it has cooperation with several survey partners. InboxPounds offers quite a lot of paid surveys. Taking paid surveys is, in my opinion, a great way to earn a bit of extra cash while at the same time have your opinion heard. You just have to be aware that you will not qualify for all the surveys that are available. I have several people saying that the disqualification rate is pretty high on InboxPounds. So this means you definitely can earn some cash by taking surveys on InboxPounds, but it might take some patience at times as there are many of them you will not qualify for. This can definitely be frustrating but it happens on more or less any site that offers paid surveys. On InboxPounds it does, however, seem to happen fairly often. Most GPT sites have offer walls with a lot of paid offers you can earn by taking. What I like about InboxPounds is that it does not just have the exact same offer walls as many other GPT sites have. It has a lot of offers that are mostly just available on InboxPounds. Some of them can be very good and be a great way to boost your earnings. You just need to make sure to read the exact conditions of each offer so you know exactly what you need to do to get your reward. Some of the paid offers can really boost your earnings. 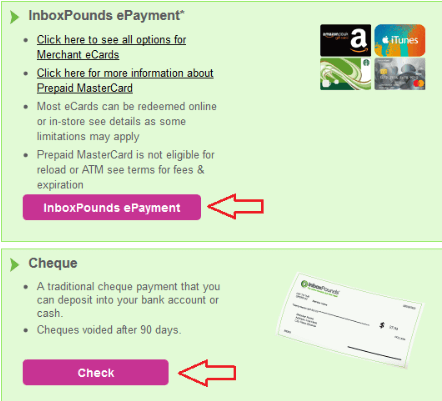 On the image above, you can see a few examples of paid offers on InboxPounds. I especially want to draw your attention to one of the offers on the image as it shows the potential if you find the right offers. Here you can sign up for Sun Bingo. You have to pay to do this and deposit £10. BUT for doing that, you will get a £15 reward into your InboxPounds account. 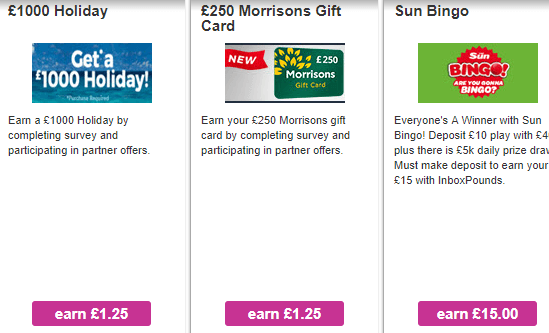 In addition to that, you get to play for £40 on Sun Bingo. This is a really good deal and easy money and it even gives you the chance to win cash as well. The reason they have offers like this is that the advertiser clearly hopes that once you are a member you will stay and eventually spend more money. But if you are aware of this and just join, take the bonus, and use the credit without investing more, it is very easy money. So there are some great offers like this. Again, just make sure to read the conditions for each offer before taking them. I also just want to mention that the image above just shows examples of offers. The available offers change all the time, so those exact offers might not be available when you join but then there will be plenty of others. InboxPounds offers a very big amount of these paid offers. Another way to earn on InboxPounds is by inviting your friends to join. If one of your friends joins, you will earn 10% of their earnings. They will still get the same earnings and the bonus will not be taken from them. It is paid out of InboxPounds’ pockets as a way to thank you for inviting someone else to join. Instead of using Google or another search engine when searching for information online, you can use the InboxPounds search function. You can earn by using the InboxPounds search option – just not a lot. You will earn cash every time you have made 4 qualifying searches. Qualifying searches mean it needs to be a natural search and not just a search for the sake of earning by searching. If you engage with the search results, you will earn more. However, it is not huge rewards you will earn this way. For every 4 completed search, you will earn between £0.01-£0.04 and you can earn up to a maximum of £0.07 each day. So not a great way to earn but if you are searching a lot online anyways you can test the InboxPounds search and see if you find it useful and then earn a little while doing the searches you would anyway. Personally, not a function I really like too much as I prefer using Google:-) But why not give it a try and see how you like it. As a member of InboxPounds, you have the possibility to receive paid emails every day. You will earn small rewards by clicking the links in these emails. Not a way to earn a lot but it is also very easy to do. The amount of paid emails you will receive will depend on your activity level on InboxPounds. The more active you are, the more paid emails you will receive. You can receive a maximum of 3 emails per day. If you are not active on InboxPounds, you might, however, not receive any of these emails. So the paid emails seem to be a way to reward the active members and to keep you motivated to stay active and log in to the platform regularly. For any GPT and survey site, you join, it is very important to know before joining how you will get paid and what the payout conditions are. You need to know this before spending time on the platform. When you earn on InboxPounds, you earn pounds (as the name reveals). For some of the earning methods you will see the earnings in your account right away and for others, it can take between 15 minutes – a few weeks. Some of the higher paying offers take longer to be approved and that is why some of them have a waiting period like this. You can then get your rewards out in two ways depending on your preferences. You can get paid via e-payments or check. You can get e-payments which, for example, includes prepaid MasterCard, Amazon gift cards, and other gift cards. Or you can get paid by check. You can NOT get paid in cash through PayPal as many other similar sites offer. So if you are only interested in PayPal as a reward option, you should instead check out the best PayPal reward sites here. But the payment options InboxPounds offers are safe methods and can be great but it, of course, depends on your personal preferences. You can request a payout once you have earned £20. It is a little high payout threshold, in my opinion, but still not unreasonably high. And at least you get a £1 joining bonus to get you started. InboxPounds has quite a lot of ways to earn. But many of the methods take a bit of patience. However, if you find the good paid offers, it can be a way to earn some fast and easy cash. Overall, it definitely can be a way to earn a little extra cash, but you just need a little patience and not expect it will make you more than some extra cash on the side. Being able to use a survey and GPT site on mobile is great as you can then also earn on the go and no matter the device you have. InboxPounds does not have an app but its website is fully optimized for mobile. So you can just open your browser on your mobile or tablet and go to the InboxPounds’ website and then use it from there. It has a very nice mobile site compared to many other similar sites. InboxPounds is only available if you live in the UK. If you do not live in the UK, you can instead check out the best survey sites in your country here. 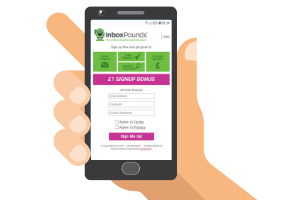 If you live in the UK, it can be a way to earn a little extra but I would also suggest you to join other sites in the UK as InboxPounds alone does not give enough opportunities, in my opinion. The support function on InboxPounds is not so easy to find – but it is there, so I will just explain where it is so you can easily find it if you should need it. At the very bottom of the InboxPounds’ website, there is a link to “contact us”. When you get to that page there is just an FAQ section. But in the corner of the screen, there is a small help button. If you click this, you will be able to send a message to the support team. InboxPounds is definitely a legit site and it has existed for years and has many members. This does, however, not mean it will be the best option for you. So to help you get a better overview before deciding if it is for you or not, let’s finish by summing up the pros and cons of it. Overall, InboxPounds can be a site worth considering if you live in the UK. But I would definitely recommend you to also join other UK survey and GPT sites to get enough opportunities. But InboxPounds is legit and safe so as an extra site and with a bit of patience, it can be worth joining. It is very easy and fast to join InboxPounds. You just click the button below that will take you to the sign-up page. It will take less than 1 minute to sign-up and you will get £1 joining bonus right away and can then start earning as soon as you have joined. If you have any comments, questions, or have any experiences with InboxPounds yourself, I would love to hear from you in a comment below. 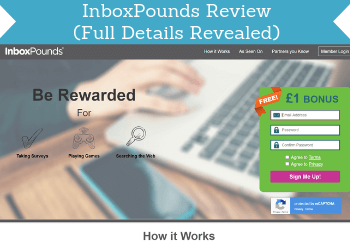 ImboxPounds is a legit GPT and survey site with several ways to earn. Some of the methods take a bit of patience but if you find the right options, it can be a nice way to earn a little extra cash on the side. Just be aware that it is only available if you live in the UK.